beyond the domain of the true and false, and this ‘beyond’ constitutes another domain, where I can place images that do not correspond to any historical reality. An image of this kind is not a mere fantasy if I have the will and feel I have the capacity to bring about at some later time a state of affairs that corresponds to the image. The image represents a possibility because of my power to validate it in this way, and represents a project because of my will to do so. Now let’s leave those quotes from the past on the desired transformation in the basis of education and the social sciences and pivot to this recent post https://www.gettingsmart.com/2019/02/preparing-all-learners-for-an-uncertain-future-of-work/ that gives a different rationale but the same aim. We have encountered the formalized False Narrative about an SEL focus as about a database of PII on each student, but let’s quote the Institute for the Future’s employee who authored that piece. She is the source of the “inside-out basis” quote used above. Putting social-emotional skill development at the center of learning promises to help individuals develop the foundation necessary to navigate uncertainty throughout their lives. The new foundation for readiness shown below illustrates how redefining readiness from the inside out–focusing on human development rather than attempting to prepare learners for any particular future of work–can provide a platform for future success. This new foundation for readiness is grounded in the human qualities that are most central to our relationships with one another and which are most difficult to code. When I debunked the Database of PII narrative about SEL, many of its advocates moved along to hype ‘Workforce Readiness’ as the purpose of the Common Core and Competency learning standards. That alternative purpose though, as the Getting Smart graphic makes clear, is also a False Narrative. The aim is ‘inside-out’ alteration of the student at the level of their personality and Identity, using Purpose and Project-Based Learning as a main means. The shown common core of each student is Individual Awareness (Emotional Regulation), Social Awareness (Empathy and Perspective-Taking), and Self-Discovery (Deep Self-Knowledge). That same core gets targeted by the Dispositional Learning Analytics (DLA) work being built into these gaming platforms being used for formative assessment and misportrayed as testing. That readiness foundation gets created at a neural level as described in a 2015 paper by the author of that Chapter 25 covered in the last post. The paper is called “Developing Resilient Agency in Learning: The Internal Structure of Learning Power.” It states that it is concerned with “the establishment of dispositions, attitudes and values associated with being an effective learner,” but it is the same changed vision of Knowledge and Learning we encountered back in 2014 here http://invisibleserfscollar.com/identifying-education-globally-as-the-crucial-lever-for-nonconsensual-behavior-and-societal-change/ Being an ‘effective learner’ then simply translates to a willingness to alter “dispositions, attitudes, and values”, along with ultimately behavior. the concern with learning power was to develop a range of competencies crucial for success in the complex, information-rich and radically uncertain world of the emerging twenty-first century. These competencies are now to the forefront- forming the outcomes focus for institutions and organizations the world over…assessment data included aspects of a person’s learning that were both ‘internal’ and ‘social’–influenced by a person’s sense of ‘self’ in a sociocultural and historical context. Feedback was in the form of an immediate visual image of an individual’s learning ‘profile’ as a spider diagram. This provided a framework for a coaching conversation which moved between the coachee’s [aka the student or child] identity as a learner and his or her learning experiences and purposes. The ELLI instrument [acronym for Effective Lifelong Learning Inventory] was designed to identify and strengthen an individual’s learning dispositions, attitudes and values and provide a starting point for self-directed learning and teacher-facilitated pedagogical change. effective learning requires the identification of personal desire or purpose, in response to first identifying a need or a problem that requires a solution of some sort. Learning that begins from this point in lived, concrete experience is ‘bottom up’ and usually both interdisciplinary and interdomain–in other words it transgresses traditional subject boundaries. Articulating a purpose in learning requires that I or we know something about ourselves, our story and what is of value to us, and it is thus associated with identity as well as a particular time and place. fabrications of the mind…that do not represent any reality past or present…these fictions are of major importance in our life. Although we discard the vast majority as fantasies, we value a small number of them, and these can serve as the cause of future realities. There is no volition without object, and the object of a volition is that a fiction of the mind become a ‘fact’. This fact is the goal of the action…When we retain a fiction as something to be enacted, it serves as the source of systematic action. This fiction–a non-fact–can be situated only in the future, which is necessary as a receptacle for a fiction accompanied by an injunction to become real. Learning standards grounded in performances, projects, and activities are creating the needed internalized cores for future action. Whether called ‘bottom up’ describing Mindful Agency, or ‘inside-out’ in the new Foundations for Readiness, we are dealing with the same, poorly understood basis for transformation in the student. All as needed to guide future action is reliable, predictable ways. Which that 2014 post established as the new 21st Century definition of Knowledge. This post was outlined before the outcry over Facebook’s gathering of data, but the outside in power of all that data on so much of the population should be kept in mind as we look at the Chan Zuckerburg interest in transformative charter schools. It also fits with the interest we have seen since my March 8 post on Parkland and the meaning of that motto of the PROMISE Program in Broward County. I have repeatedly read since then numerous articles from supposedly conservative sources misportraying the clear developmental focus of the required practices. It gets pitched as simply a matter of federal overreach and coercion via funding. Yesterday, the charter-supporting Heritage Foundation https://www.heritage.org/firearms/report/focusing-school-safety-after-parkland joined what looks like a well-coordinated campaign to make Paul Sperry’s derivative and whitewashed description of the Program the official narrative. Mustn’t accurately explain what one intends to use so let’s just mine ISC for information and skip over Robin’s inconvenient interpretations that shine an accurate light on these practices. All of the linked SEL research matters because they are tied to the PROMISE Program when accurately interpreted using its cited foundational research and not whitewashed for political purposes. The whtewashing is no surprise though as the charter schools use the same developmental template as Broward’s PROMISE program when the latter is properly understood. Let’s switch to something else charters use to ensure their efficacy and are not upfront about. I am quoting from a 2011 book by Duke prof Cathy N Davidson called Now You See It: How Technology and Brain Science Will Transform Schools and Business for the 21st Century where Davidson profiled the innovative new forms of learning being implemented by a number of cited charter schools. When we talk about the use of categories, concepts, or guiding principles, recall how useful it will be to have the News Literacy Project we encountered in the last post working hand in hand with the categories of thought pushed as Reading and Thinking Like A Historian or Higher Order Thinking Skills. This post begins a trilogy and that will be the in-depth topic of the next post. In the mean time let’s appreciate what charter operators all know. “How we use our brain (what we pay attention to) changes our brain. Those things that capture our attention–our learning and our work, our passions and our activities–change our actual brain biology.” That’s a direct confession, isn’t it? Plenty of reason for deceit there. The emphasis on Disciplinary Core Ideas to use just one of the euphemisms or Enduring Understandings makes sense when we all become aware that “once everything is located in a proper category, the category itself (for better or worse) answers a host of unaskable questions. A category is a shorthand.” And whoever controls those required categories of thought can insist all day long that “they are teaching students how to think, not telling them what to think” but that repeated assertion doesn’t make it true. Whoever controls the prescribed categories of thought, controls thought. Period. Especially once it becomes a Habit of Mind. Now if your child’s school of any type or online curriculum is grounded in creating such a Hebbian neural web that will ultimately guide their future behavior at an unconscious, but predictable, level, don’t you want to know that? Isn’t all the organized deceit making more sense now? I feel though like those old Ronco holiday commercials when many of us were kids advertising for some useful gadget that we supposedly cannot live without in every house. “But wait! There’s more!” As part of the case after the Parkland shooting for why more social and emotional learning and an antibullying emphasis were needed came this story https://www.educationdive.com/news/creating-schools-that-fit-our-kids/518917/ hyping a report from the Aspen Institute and its panel of educators. Now I first wrote about that panel back in September here http://invisibleserfscollar.com/capturing-every-thought-captive-and-sculpting-students-as-systems-driver-of-perfidy/ and in several of the following posts. That report and Consensus Statement were always going to come out, but the Parkland mass murder gives gave a chance to pitch the change in emphasis as urgent so that “social, emotional, and academic development” can be integrated. That also fits with the links above that are the basis for how charters really work and what the PROMISE Program was actually designed to change. Now I have written about one panel member before, Linda Lantieri, and how she trains classroom teachers in techniques that are billed as New Age on some days depending on her audience and on others as Positive Psychology. I recognized other names too, but the Council of Distinguished Educators member that really caught my eye was from a chain of charter schools called Valor Collegiate Academies. That’s where our conjoining reference comes from as we have funding coming from the Left Pincer in the form of the Chan Zuckerburg Initiative and from the Right Pincer that seemingly does not want the PROMISE program accurately understood in the form of the Charter Schools Growth Fund. Now Valor openly trumpets in its materials that it uses required regular group Valor Circle practices that are “grounded in the field of Interpersonal Neurobiology which posits that relationships ‘inspire us to rewire our brains toward integration. '” Well, that’s certainly one way to create change in the student effectively and thus ensure additional funding and opportunities for expansion. Valor has graphics about targeting the students’ “drives for agency and communion, or self-determination and connection… and helping scholars (and adults) create their own ‘inner compass'”. Now, I am not disagreeing that people need an inner compass, but if a school is deliberately rewiring childrens’ brain in a Hebbian manner, parents should be told that forthrightly before they act like programmed automatons. How many parents appreciate that neural rewiring emphasis when they read language (bolding in original) about “All Members of the Valor Community aspire to balance their Sharp Mind and Big Heart and to live their Noble Purpose through Aligned Actions, all the while accessing their True North” to make meaningful choices in their everyday life. ” That True North: Habits of Center is grounded in Mindfulness research, which is certainly an interesting remedy for preventing another Parkland type shooting. It’s not just that I recognize what is cited as Mindfulness, but here’s a quote from a draft I downloaded of what was to be implemented in the 2017-2018 school year per “True North ‘standards’ or intended learnings. Is that what anyone was expecting to be touted “at a time when the nation is looking for solutions to violent tragedies like the Feb. 14 shooting” at Parkland? 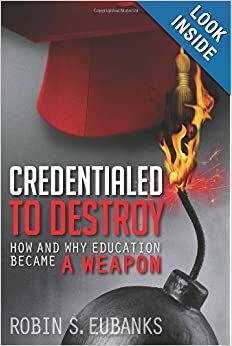 Is this why we cannot get accurate reporting except at ISC or in my book Credentialed to Destroy of what competency-based education and frameworks actually aim to change or what the Broward PROMISE Program and Restorative Justice programs really hope to alter? Are charter schools, online providers, and private and parochial schools all afraid they will not get access to public funds if parents recognize that they too are aimed at neural rewiring “to produce knowledgeable and competent adults able to participate as informed citizens in the democratic process”? We will discuss the source of that last quote and its ties to the School Choice funding campaign in the next post–Part 2 of this Trilogy of Lucrative Deceit. The reaction to the last post was certainly fascinating for those of you who do not read the comments or are not on Anita Hoge’s mailing list. I have to confess I already knew precisely what the citeable definition of “evidence-based” was when I wrote that post. I wanted to find out if there was any interest in the truth or whether the organized narrative and misdirection was the real point. Since we now have our answer and I said it was citeable, evidence-based under the School Improvement Grants during the Obama Administration referred to “activities, practices, or interventions” that had either been shown to be effective in creating the desired outcomes in the student or had a “research-based rationale describing why it is likely to improve student outcomes or other relevant outcomes. The recommended format for demonstrating and communicating this rationale is through a logic model.” [frequently italicized for emphasis as logic model and so integral to organizing a society a la Upravleniye that it can be found translated into other languages and alphabets all over the globe]. Well, that’s not how the False Narrative alarming parents of a surveillance state of PII instead of factually telling them school intends to rewire their children’s brains via prescribed experiences explains SEL. Why is that and why does it matter so much? Am I simply playing the annoying Classroom Rocket-arm who always shouted out “I know. I know” as they raised their hand? Here’s an example of why it matters so much https://www.edsurge.com/news/2017-11-22-how-to-measure-success-without-academic-achievement Notice how the author declares the desired outcomes of getting to heaven or being “a good person” as interchangeable goals in terms of the desired internalized changes and personal characteristics sought and how to bring those about via classroom experiences. How intrusive is that? That’s evidence-based policymaking in education. An IB Learner graphic or Portrait of a Graduate set out in state ESSA plans are logic models. Some of the most notorious curricula we have covered on this blog like Responsive Classroom, Tools of the Mind, the Good Behavior Game, mindfulness activities, and PATHS–Promoting Alternative Thinking Strategies were all deemed by Rand to not just be evidence-based and qualified for federal funding, but already having proven efficacy at creating the desired intrapersonal and interpersonal characteristics in the student. See why I think it is such a mistake to make the tool of data the focus instead of the desired sought changes to the student? See how much it matters what the logic model or blueprint shows are the desired changes that classrooms then backward map curricula to create in the student? Another evidence-based model of education, this time pushed by the Millennium School, tells us that the “highest function of education is to bring about an integrated individual who is capable of dealing with life as a whole.” An adult whose neural hardware and the operating software installed via classroom experiences over years of “continuous improvement” along a desired learning progression doesn’t need to be constantly monitored by a “surveillance state”. His motivations, perceptions, emotions, interpretive tools, and the very means of grasping reality itself have all been programmed already. Those sought changes need to be the focus. The future behavior is quite predictable because K-12 education under names like “science-based” or “evidence-based” shifted from its historical focus on a body of knowledge to orthopraxy–school as practice for a desired future way of life. A reader brought Brian D McLaren’s book The Great Spiritual Migration to my attention and his desired orthopraxy vision for a new kind of Christianity reminded me a great deal of how learning standards like the Common Core or a competency framework really work when properly understood in a way the False Narrative somehow seeks to prevent. In a world where heaven and being a good citizen require comparable classroom interventions and activities, I guess that makes sense. Instead of knowledge, it appears to me that we are to have a new model of education globally that fits with what McLaren called faith. Now if the actual purpose of this new vision of education is creating a good person or Godly citizen ready to act as a Maker of History to push a new vision of “living systems” and how they will interact in the 21st century, all the deceit really does start to make sense doesn’t it? It explains why I keep finding professors and graduate students in social and public policy being taught that social systems can be redesigned to fit new intentions. It just takes new goals, government edicts, and plenty of data that need not be personally identifiable at all to work just fine. Since I am still in a wrist brace and this is already longer than I intended to type, let me close with another link that the Rand report cited called “Making Evidence Locally: Rethinking Education Research under the Every Student Succeeds Act” by Thomas J. Kane. Kane has also written about how states can create ‘efficacy networks’ to test strategies for school improvement back in April 2017 in an interview on a site devoted to government innovation. The first was published in the Spring here http://educationnext.org/files/ednext_xvii_2_kane.pdf in a Harvard publication supported financially by the Bradley Foundation. Now that philanthropy is free to support financially whomever it wishes, just as we are free to notice that article places it supporting two sides of the ‘evidence-based” narrative. If you are an education insider you get the accurate story of what the model means and how so much of the sought implementation and testing for efficacy is planned for the local level. If you are a parent though wondering what is happening to your child and are looking for answers, you are liable to be led to books published by Bradley’s publishing subsidiary, Encounter Books, that push the useful False Narrative. You may hear the hype about School Choice or databases or Student Unit Records and end up listening to someone employed by a think tank funded by Bradley’s deep coffers. I just find the involvement on both sides to be fascinating and I am very grateful to that Rand report footnote. I am also grateful we have an ability to move beyond where the Right and Left Pincers want to take this discussion of what is really going on in K-12 education. They keep hyping research-based education. I guess I am glad we are still able to have research-based writing on the topic, even if the False Narrative does try to prevent widespread circulation or appreciation for its accuracy. Internalizing a ‘reliable compass’ was one metaphor and the desired ‘New Golden Rule’ was another. Today’s metaphor comes from a Mindshift article called “Why Empathy Holds the Key to Transforming 21st Century Learning” that came out last November and has been cited since then in numerous articles on a “new vision for education that emphasizes mastery of critical knowledge and skills” rather than traditional factual, subject knowledge. It is education aimed at assessing and altering the “complex mix of other meaningful emotions and attitudes that fuel human personality,” which is why the Faux Narrative about social and emotional learning standards being about creating a student database of PII is so laughably wrong. No one gets to keep their emotions, beliefs, and values just because they like them and they work anymore than they got to keep their Doctor under Obamacare. That’s just sales rhetoric to keep the attention in the wrong place. Why? Well, if the same people pushing the False Narrative are also very vocal about the central role of a certain Faiths in their lives and the leaders of those various faiths (including Progressivism as a secular but guiding force of values and beliefs) are also quite vocal about the desire to use education to create a Revolution of the Heart; a New Golden Rule; the Good, True, and Beautifu; or World Happiness and Human Flourishing (just a few examples), we seem to have our answer. An ability to use the psychological tools provided by a new vision of education without the altered goals, techniques, and practices really being appreciated by parents and taxpayers would make perfect sense. Get the desired alteration that guides future behaviors as Habits of Mind with no outcry. Outcries require recognition, which means reading this blog and having read my book Credentialed to Destroy. No wonder the Faux Narrative crowd prefers to simply mine selective proven facts to appear authoritative while hiding or misleading about the true aim of this new vision. Let’s poke at it some more today using some of the sources cited in the footnotes of papers mentioned in the last two posts. Both the Jubilee Centre papers and conferences and the Special Rome Edition to the 2016 UN-issued World Happiness Report called “Human Flourishing, the Common Good, and Catholic Social Teaching” kept mentioning an Alasdair MacIntyre. He turned out to be a retired Prof at Notre Dame and I tracked down the constantly cited book After Virtue. Remember too that this is not just a template for Catholic schools. The Jubilee Centre materials, the Science of Virtues curriculum, and a Templeton-funded Toolkit on Character and Self-Control (link in the previous post comments) are all examples of an emphasis for all schools–public, private, parochial, and every religion. It explains why the Islamic Tarbiyah Project reminded me so much of the Tranzi OBE template I had laid out in CtD. They are all new visions of education that seek to shift to goals and purposes of student work so that education can create a desired shift “between man-as-he-happens-to-be and man-as-he-could-be-if-he-realized-his-essential-nature.” One thing too all these visions agree on. The school will provide the “precepts” to be internalized through practices and learning activities. They will mandate the required Virtues, Ethics, or Character Traits. Back to After Virtue then where he described what Classical Education initiatives now call the ‘well-ordered soul’ that is to be the goal of this new vision of education. I am pretty sure there are plenty of people out there who truly wish they could convince me that my true end is to stop writing, but I was always a much worse student on conduct grades than book knowledge. I did pull out my dictionary though to determine what the difference is between a concept and a precept. Concepts are a category for grouping ideas or experiences, but precepts are even more relevant to aspirations of internalizing a reliable compass. A Precept is “a rule or principle prescribing a particular course of action or conduct.” In other words, Precepts are just the thing if someone is interested in fundamental cultural transformation or simply invisible steering of people and their likely daily activities with each other. Professor MacIntyre and all these documents quoting him really do want to combine “thought and action,” which certainly sounds like Competency-based education to me. “Abstract changes in moral concepts are always embodied in real, particular events.” Sounds like a reason for performance standards and Project-Based Learning in real world, authentic contexts, doesn’t it? If anyone is still unclear as to precisely how the neural alteration occurs, we thankfully had the Instapundit blog on June 10, 2017 plugging the book Hardwiring Happiness: The New Brain Science of Contentment, Calm, and Confidence. Since I grasp the connections between that blog and the School Choice narrative, I found that particular plug revealing to my Faux Narrative balloon popping. Not news to me, but hopefully helpful to everyone trying to grasp the real aims of this new vision of education. Happiness is about having the right “neural traits” (think about those Graduate Profiles now!) and “what you pay attention to–what you rest your mind on–is the primary shaper of your brain…This means you can deliberately prolong and even create the experiences that will shape your brain for the better.” With the new school year dawning too early in too many places, notice if that phone call from the District Super or letter from the principal or headmaster this year does not mention hopes for your child’s learning experiences during the upcoming school year. They are not referring to lectures and those experiences will be dictated by the desired outcomes to be instilled at a neural level in the student. Hardwiring Happiness then indisputably defined the word ‘learning’ as the “conversion of fleeting mental events into lasting neural structures.” That means that learning standards like the Common Core are really about what type of neural structures each student is to have per governmental edict. Does it really matter what level of government imposes it when it is without effective notice or consent and it is surrounded by coordinated deceit? It turns out the reason SEL standards are required for this new vision of education has to do with getting the desired neural transformation. Think about this quote as the shift to role playing and Global Challenges where Justice and Equity are not yet universal becomes the focus of so much educational activities. On that provocative note, I need to end this post without getting to all I wanted to cover. My real life is calling and I need to take off my writing/analyst hat and switch to my Nursemaid role. That well-ordered soul instilled within the student in turn is designed to know and choose based on instilled habits that are consistent with the UNESCO Ethics Framework from the last post, the Positive Education template, DeVos’ moral mandate, Amitai Etzioni’s Communitarian New Golden Rule, and finally Karl Marx’s vision for his Human Development Society. Since Mortimer put it, like Uncle Karl, in terms of the existing base of wealth and technology that had been reached, let’s go back to the quote above to see why “Hey, Hey, Ho. Ho. The Existing Mentality just has to Go.” Bad pun I know. Now let’s jump to how the 1995 book Seedbed of Virtues defined the “Classical Conception of Virtue.” Please pay attention because this definition and book are closely related to both the new Catholic Curriculum Framework, School Choice, and why the American Principles Project/Pioneer report from last fall that laid the narrative for those frameworks (by misrepresenting the nature of Competency-based Education and Transformational Outcomes Based Education) may have done that. This is a little long, but absent the references to Aristotle and substituting Character or Whole Child for Virtue, think of it as what all 21st century education must be doing. I will boldface the why so we can tie it to Mortimer and Uncle Karl and snark in brackets for current relevance. To make a long story short, that book was cited in connection with UNESCO’s Ethical Framework and I recognized the name Mary Ann Glendon (Harvard law prof) from both the Catholic Frameworks that wanted to specify Knowledge, Skills, and Dispositions that students are to have internalized, as well as being a communitarian associate of Amitai Etzioni. If the book sought to elevate the “collectivity over the individual” and duties over individual rights, it would explain so much of what I have found over the years being imposed though education via an affirmative view of the law. As I am prone to do when I find a vision that is both alarming and clearly connected to what we are seeing imposed on classrooms, I looked up the book’s publisher, the Institute for American Values (IAV). Remember how the Ethical Framework recognized the need to control and create new values and categories and principles to guide thought if the sought social and economic changes to meet all human needs via Universal Ethics were to be imposed? IAV turned out to have a Sean Fieler as its Chairman. I recognized that name as he is also the Chair of the American Principles Project. What are the odds? Then I discovered the ubiquitous Bradley Foundation, THE major funder of School Choice and so much else, delightedly recognizing its support of IAV. I have written about what School Choice actually does and it fits with how Tranzi OBE and Competency-based education actually work. Here’s the stated aim from Seedbed of Virtues that would certainly explain both the support of School Choice and all this documentable deceit. Isn’t that what Ian Mortimer called for in that recently published, much hyped book? Interestingly, last week, many of the think tanks pushing either School Choice or Classical Education or both, touted the release of the Classical Learning Test, to be a successor to the ACT or SAT. Its release celebrated that “instead of individualism, we stress community…rather than merely becoming a number, we want to see students use standardized tests as yet another opportunity to mature in wisdom, virtue, and academic competency.” Boy, that aim certainly sounds like the goal is to instill the internalized rudder of desired personality traits and supplied Knowledge to be acted on as a matter of habit. In the next post we will look at that document and its implications, including where School Choice and all education reforms are really taking us. We will also cover IAV’s 2003 publication Hardwired to Connect: The New Scientific Case for Authoritative Communities since it gives plenty of reasons for the deceit surrounding the Common Core and education reforms generally. Gramsci was not the only Transformational Collectivist seeking to March through the Institutions. He was simply more upfront about it. The previous two posts illustrated real-time proclamations from just the last few weeks that fit with what we are going to cover today–the quietly imposed Common Framework for the Ethics of the 21st Century issued by UNESCO in September 1999. It grew out of Universal Ethics Project begun in 1997, imposed invisibly by education, P-12 and higher ed, under obscuring terms like learning, outcomes, standards, and competencies. The Framework was referenced in a footnote I came across while trying to chase down the common education agenda being pushed by the admitted Left Pincers (in this case communitarian prof Amitai Etzioni) and American Principles Project founder, Robert George, as a representative of the School Choice pushing, but headed in the same actual direction, Right Pincers. Before I could write up the implications of that Framework, we suddenly had Ms DeVos’ statement about the moral obligations none of us may abdicate and the Positive Education practices mandate coming from the World Government Summit. Since they each seemed to assume the shift into the obligations of a Framework few of us are even aware of, I went with the “this is coming now” approach in the previous two posts. Now that the Imminence is crystal clear and not speculative, let’s take a look at what is being concealed from us. Because this is a blog, not a book, this post will be followed next by how I know for sure that this is where all the deceit surrounding the Common Core and School Choice really leads. We will leave Gorby now and shift back to the supposed new values, ideas, and principles that people need to internalize from an early age (enter education tied to behavior and the Whole Child which is precisely what performance standards mandate) so that everyone can “flourish” in the 21st Century. Sure enough, that particular uncommon verb is ubiquitous now throughout the UNESCO Ethics Framework, the Positive Education Practices we encountered in the previous post, as well as the NIH-funded and Templeton Foundation sponsored Science of Virtues going on now at U-Chicago. What are the odds of such common, uncommon, terminology? The cool thing about the Ethics Framework is that there is no overt, publicized command that makes people feel coerced. The Russians and Chinese noticed those edicts from on high simply did not work as well as using a reenvisioned type of education that affected “the will of individuals in every and all situations in which he or she acts.” Once that Learning becomes a Habit of Mind we have installed an invisible internalized neural rudder that allows society and an economy to be steered and guided without anyone needing to be the wiser. Students will have Moral Dialogues grounded in “philosophical value knowledge” (just like the School Choice-advocating Manhattan Institute laid out recently in an odd “Republic in the Atlantic” piece in City Journal). If the means of closing that gap and creating the desired new thinking and ethics is new ideas and values, is it coincidental that suddenly the relief offered from the horrors of the Common Core is framed in terms of Character Education, Positive Psychology, Conceptual Understandings and Core Disciplinary Ideas as the ‘content knowledge’, and Virtues? Does anyone else feel like the remedy offered is actually grounded in this little discussed Ethics Framework? Because apparently reenvisioning the human future is “affected and even determined by the behavior of humans acting on the basis of normative ideas and principles.” If education in the 21st Century is actually premised on the italicized “question: what values and principles may be mobilized in order to steer the forces of technological and economic change for the purposes of human survival and flourishing?”, aren’t we even entitled to know that is the foundational question behind all these imposed changes? There’s that ubiquitous aspirational verb again. Anyone else wondering who will really flourish in this vision?